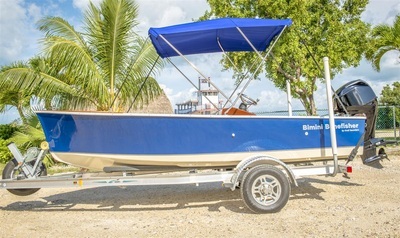 2007 Bimini Bonefisher 16ft Skiff - $26,900 - SOLD! 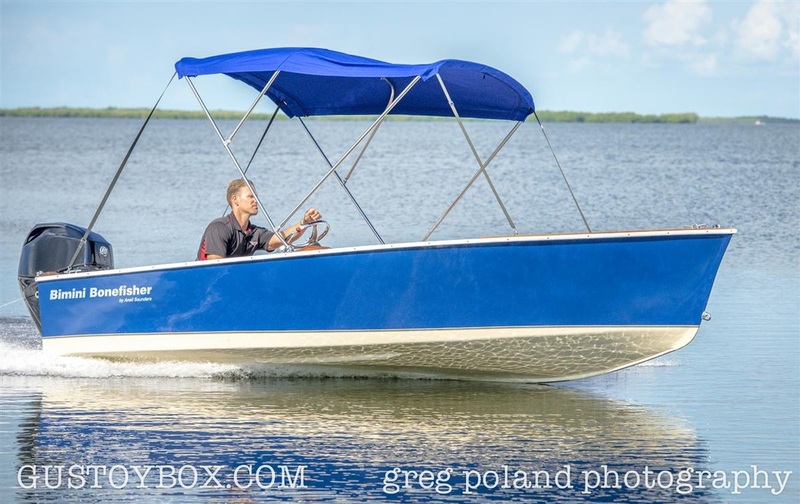 If your looking for a unique skiff like a Willy Roberts, Hells Bay, Maverick, Hewes, ect. 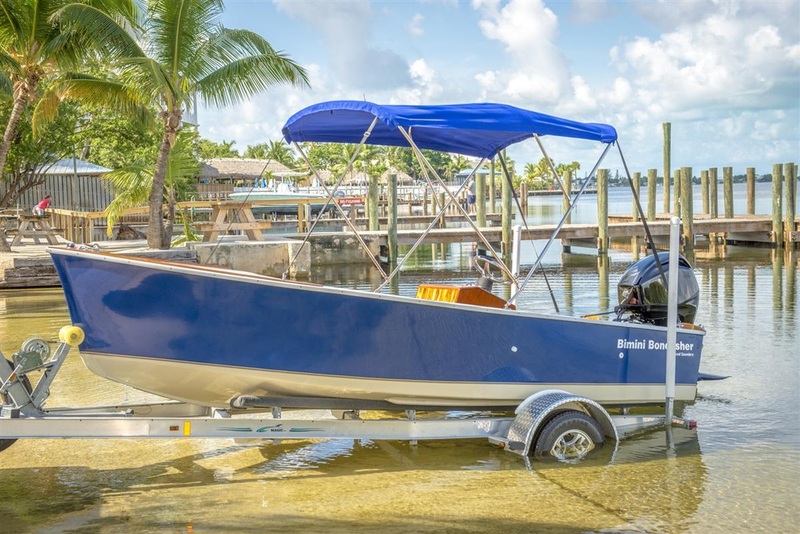 that truly performs whether to fish or show or have in your living room as a show piece…look no further. It may be an understatement to call the Bimini Bonefisher a boat; it’s really more like a work of art. 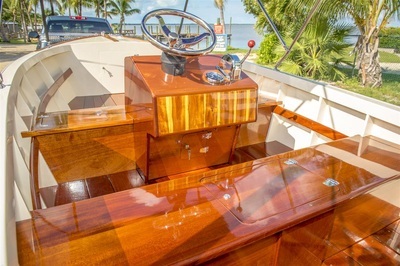 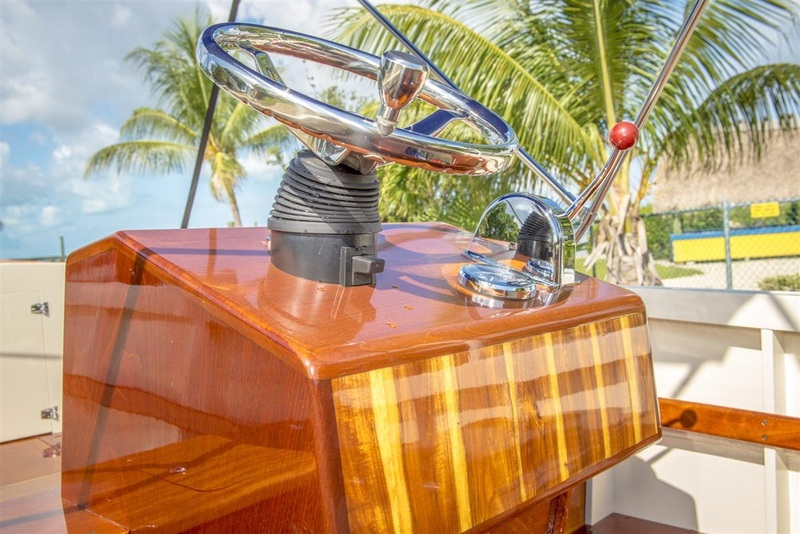 Known as one of the prettiest small boats ever made, the 16-foot Bonefisher takes Ansil Saunders as long as a year to make in his yard at the end of a dirt road in Bimini, but the end result is so beautiful that some people have put them in their living rooms as collectors’ items. 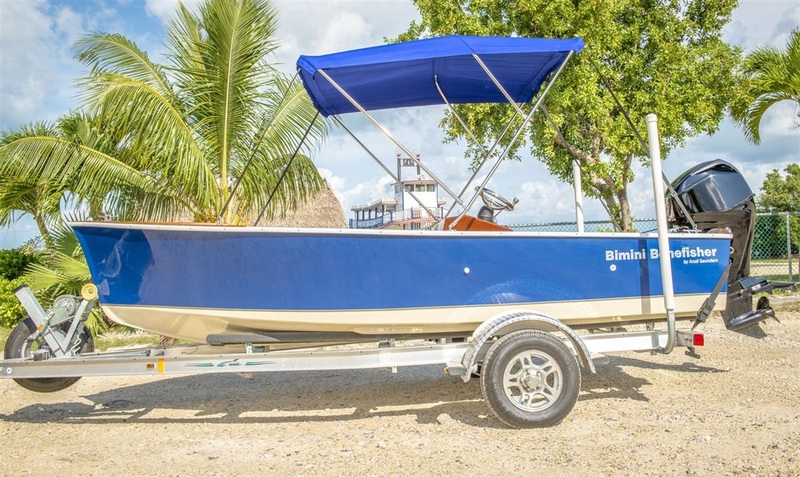 Better yet: The Bimini Bonefisher, a gorgeous custom flats boat, raises fish, particularly bonefish. 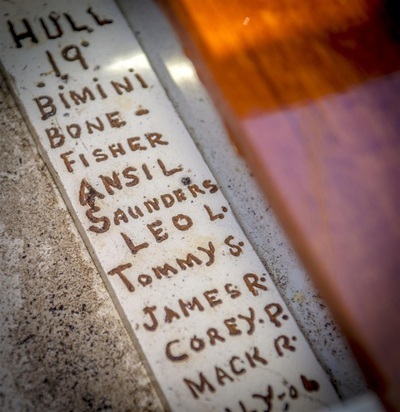 The secret to the Bimini Bonefisher’s success all lies in the hands and soul of Ansil Saunders, a fifth-generation Bimini boat builder. 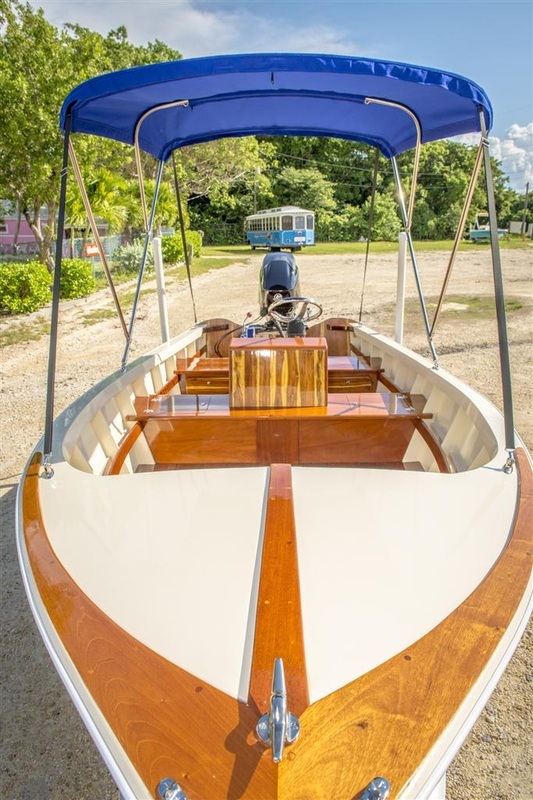 His ancestors were Scottish fisherman and boat builders who arrived in Bimini in the mid-19th century, married local women and settled down. For his part, Saunders has been making his bonefish skiffs in his shed about 300 yards from the Bimini Big Game Club for years, and he’s learned what it takes to land bonefish by guiding fisherman around local waters for most of his life. Over the years, President Nixon, the Rev. 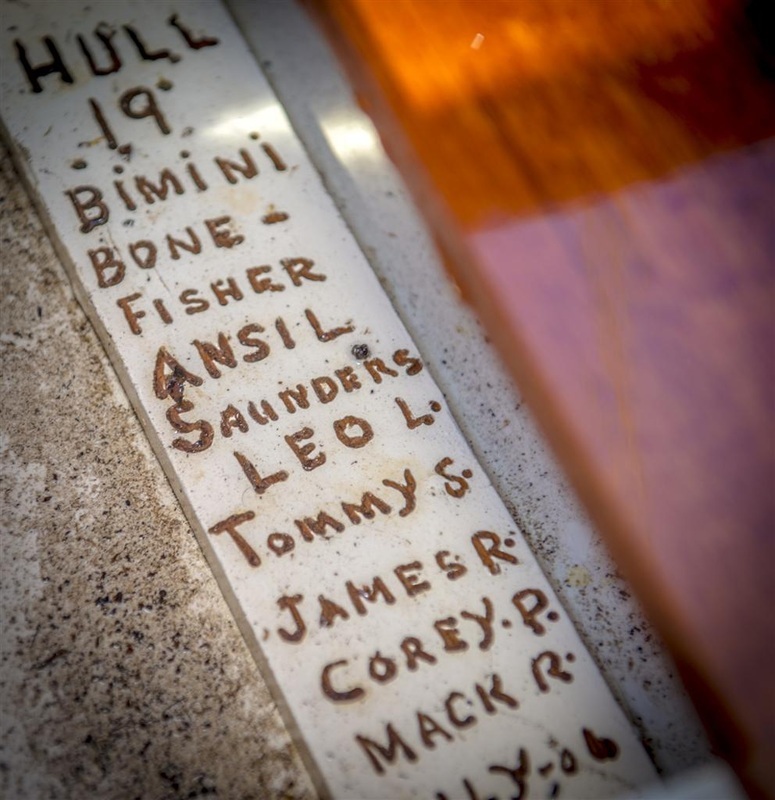 Martin Luther King, Jr., Joe Namath and Johnny Unitas have been among his clients. 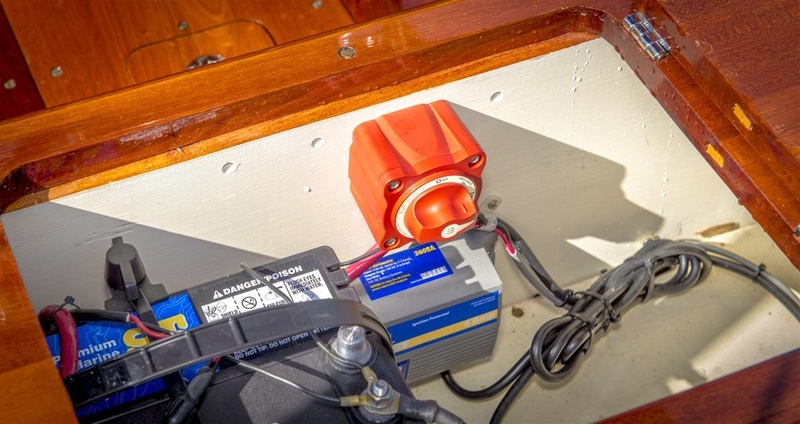 And they usually go away happy. 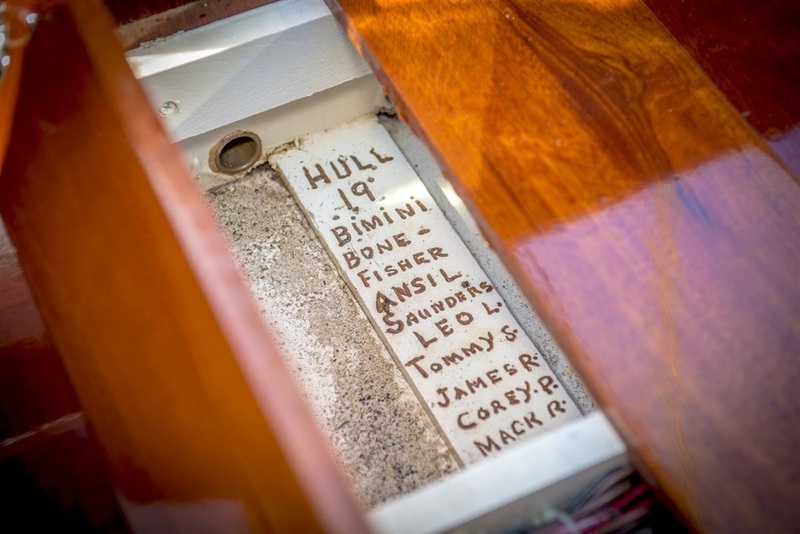 Indeed, more than 40 years ago one of Saunders’ clients caught a world record bonefish weighing 16 pounds, three ounces on one of his boats. 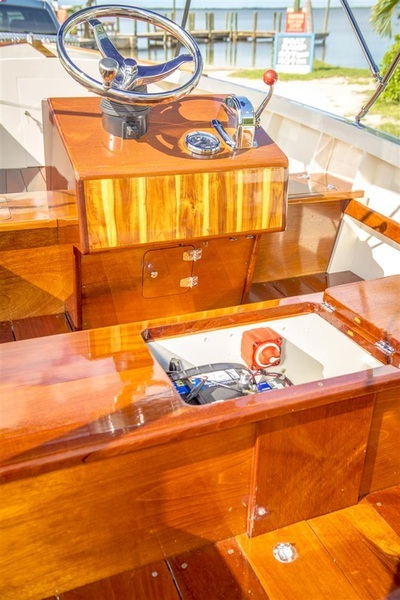 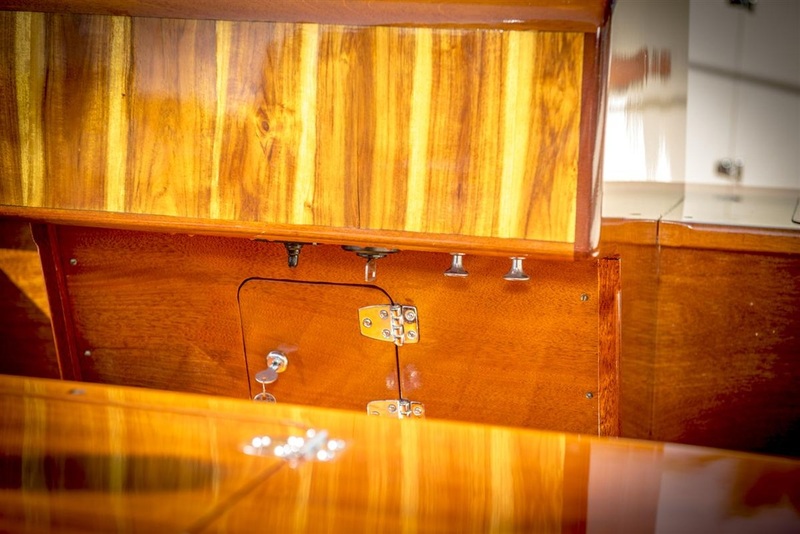 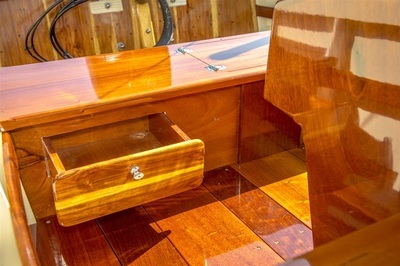 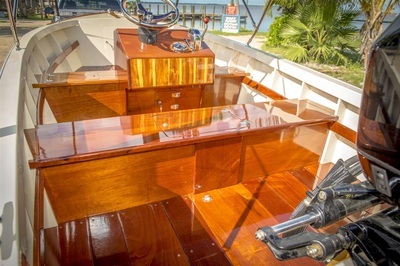 This boat is hull #19, with a blue hull and white topsides and lots varnished mahogany and other hard woods. 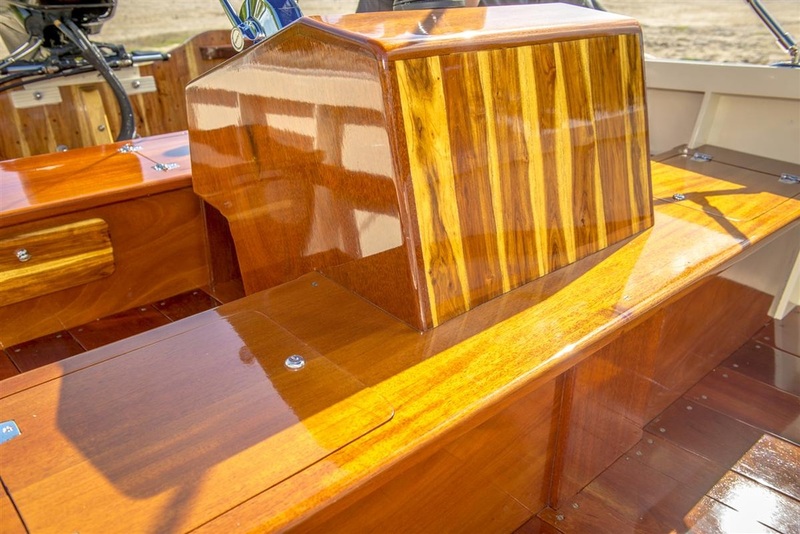 The craftsmanship is superb, but so are the lines. 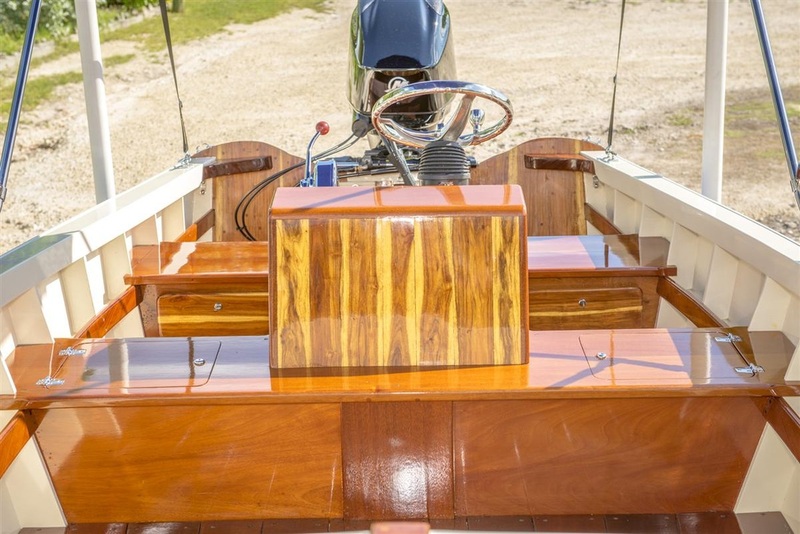 When viewed from the front, the beautiful sharp bow flows back and widens amidships so that the shape of the boat looks like the ace of spades. 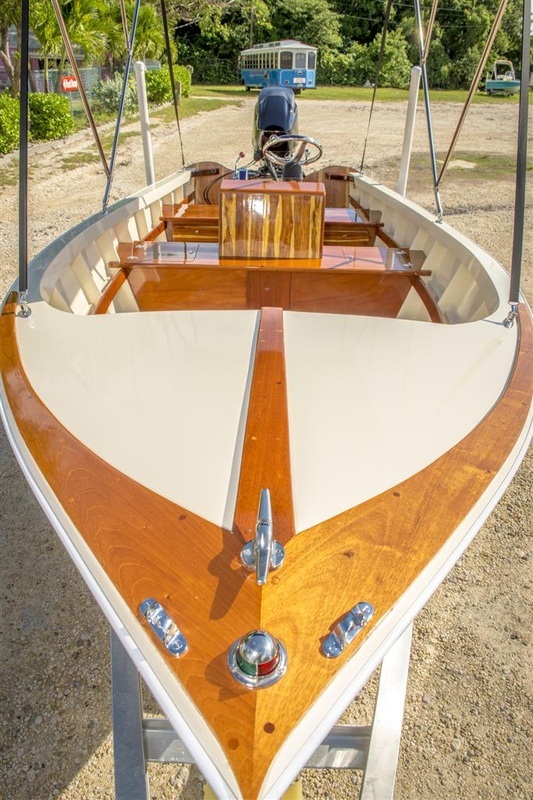 From the side, the sheer rises only slightly from the bow and then sweeps back in a fairly straight line. 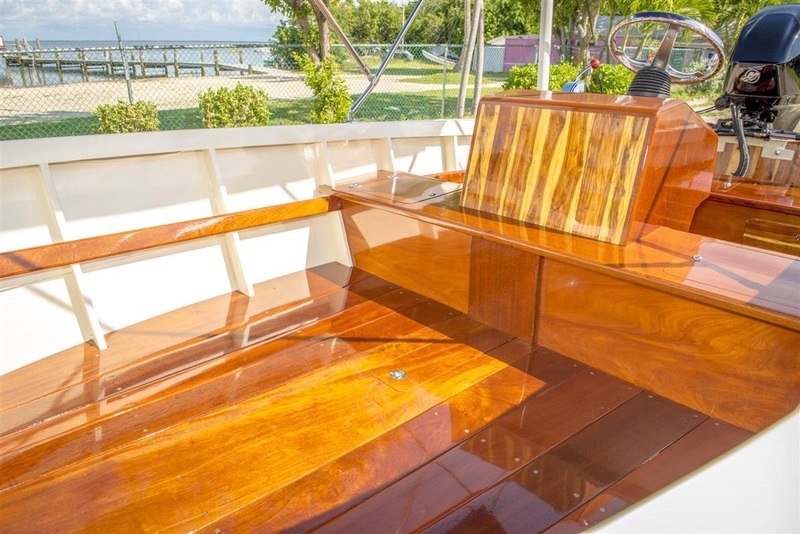 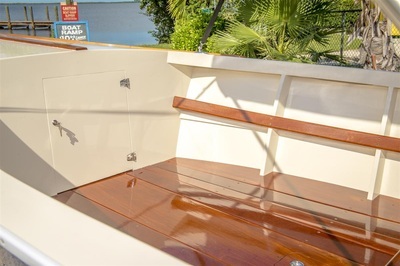 The interior has a wooden bench seat and helm station, with a stainless steel wheel and single stainless steel control; there’s plenty of working space all around for catching bonefish. 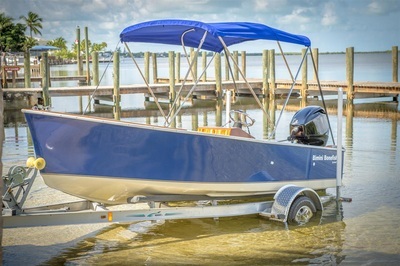 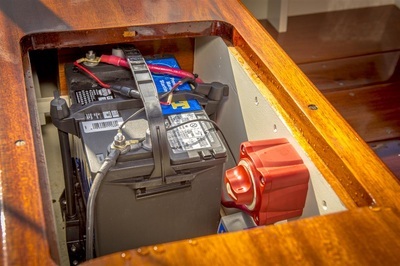 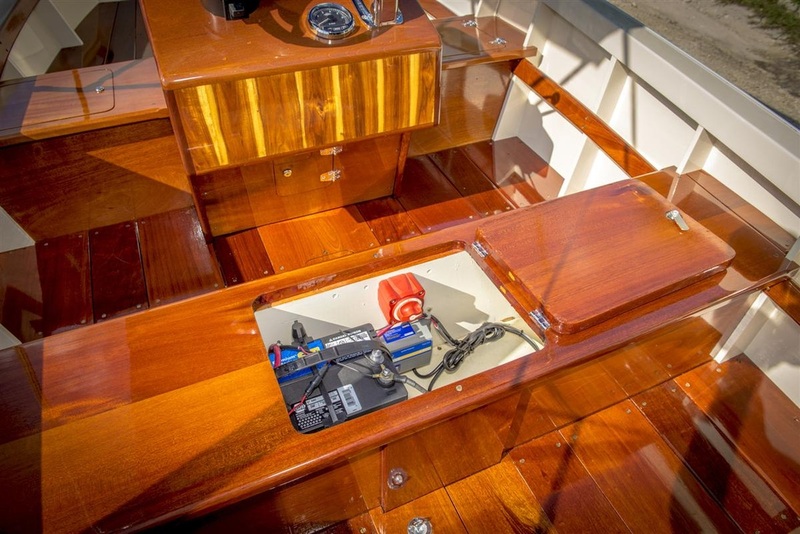 This boat has a custom removable quick disconnect stainless steel Bimini top. Stainless Steel Steering wheel. 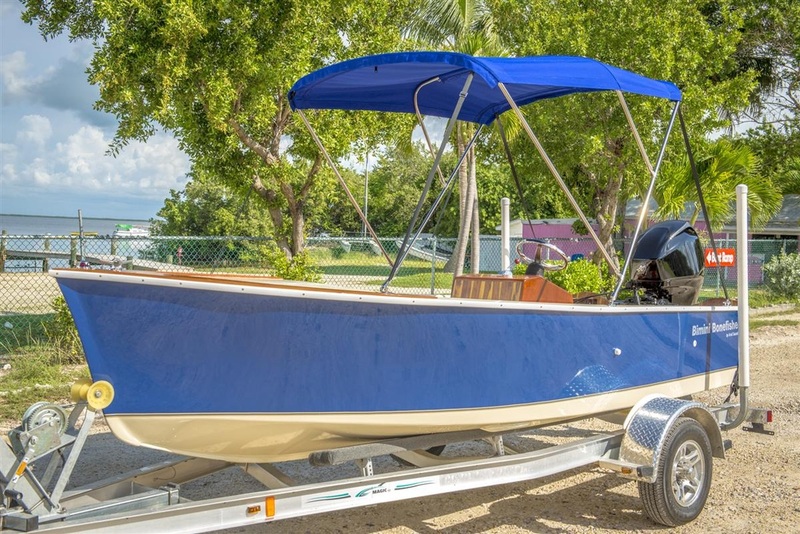 Included is a custom extra narrow 2011 Magic Tilt aluminum trailer with custom aluminum rims and matching spare tire.